Almost as long as space stations have existed, there has been a need to resupply them. The Russian Progress spacecraft was the first developed for the sole-purpose of topping off food, water and fuel supplies for outposts off-world. 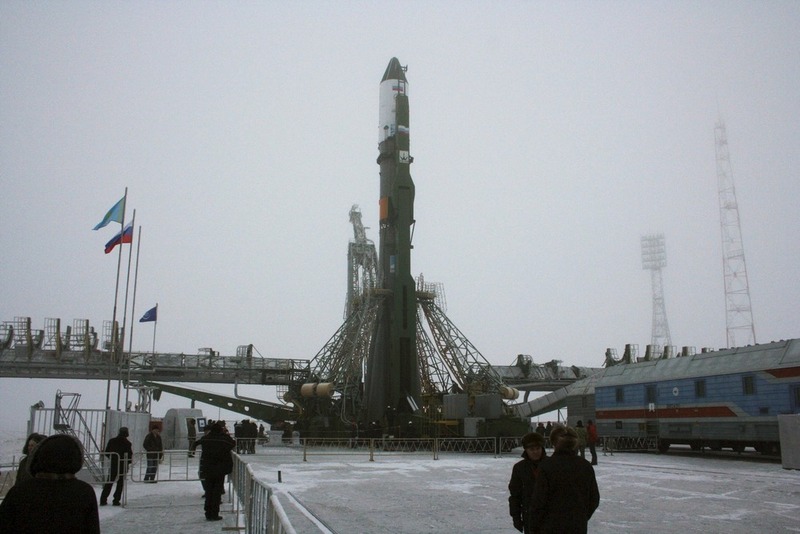 The design was derived from the Soyuz and it is launched on a Soyuz rocket. It is not reusable and it does not come back down to Earth safely; it burns up in the atmosphere after use. Over 150 Progress missions have resupplied stations such as Salyut 6, Mir and the International Space Station. The Progress design has been upgraded over the decades to be able to send more cargo up and weigh less for launch. On occasion, special variants have been used to send small modules up to space stations, such as the two docking ports currently on the ISS called Pirs and Poisk. Like the Soyuz, the front of the spacecraft carries the equipment needed for rendezvous and docking. It also holds the pressurized cargo, including experiments, supplies and even fresh fruit. The crew enters Progress through the forward hatch. The docking drogue, similar to Soyuz, also has ducting for fuel and oxidizer to be transferred to the International Space Station. 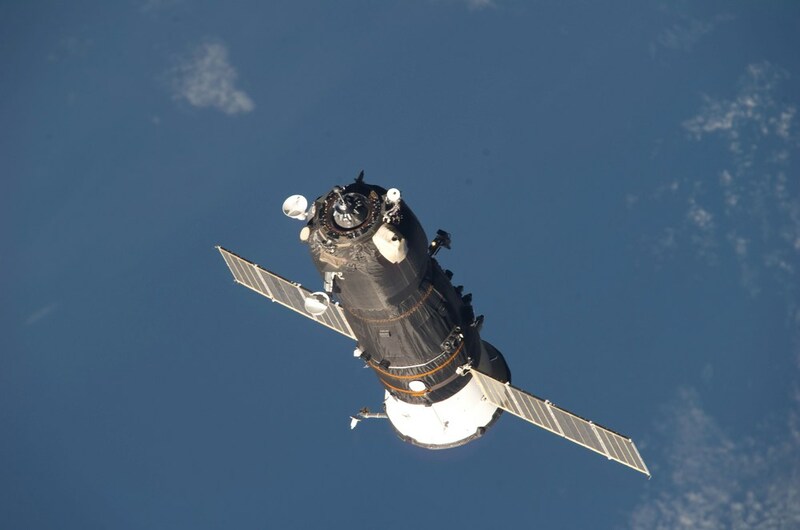 In special versions that carried the Pirs and Poisk modules to the space station, the Cargo and Refueling modules were replaced with the module. Instead of a Descent Module, the Progress saves weight by eliminating all recovery items, including heat shields and parachutes. As thus, the spacecraft does not return to Earth intact. Instead it is guided into a destructive reentry over the Pacific Ocean. This section carries six tanks: two for fuel, two for oxygen and two for water. The propellant in this module can be transferred to the space station, or be used to help boost the outposts orbit. The propulsion module, similar to the Soyuz, is used for station re-boosting. It is also used to deorbit the spacecraft after it is no longer needed. Though, upon reentry the sections do not separate like the Soyuz. Like Soyuz, this section contains fuel needed for rendezvousing and deorbiting. It also contains instruments for temperature control and equipment for long-range radio communications, power and telemetry. Connected to the sides of the module are two solar panels. They are folded up prior to launch and extended upon reaching orbit. They provide power to the craft for the duration of the flight. At the bottom of the module is the main engine, called SKD, that is used for maneuvering in orbit and to conduct the deorbit burn. All Progress flights, except three, have reached their destination. On August 24, 2011, the Soyuz rocket carrying Progress M-12M failed to reach orbit due to an early cut-out of the boosters third stage. Additionally, Progress M-27M lost control and ran out of fuel after the a collision between it and the third stage of its booster rocket in May 2015. More recently, Progress MS-04 failed to reach orbit. This was due to the third stage engine of the Soyuz launcher shutting down early, similar to the aforementioned Progress M-12M flight. While it has an unparalleled safety record, one spacecraft collided with Mir in 1997 resulting in one of the modules to depressurize. The crew quickly sealed off that module.